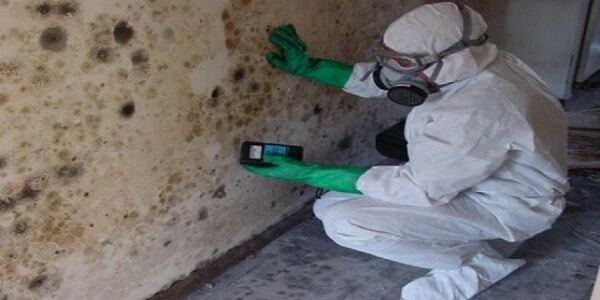 Mould Removal Ottawa has been in the restoration and cleaning industry for over 15 years. In this time, we have performed countless mold and bio hazardous material inspections in the greater Ottawa Area. Proudly it’s easy to say we pretty much have seen it all. If you have a suspected mold problem, please call us ASAP and we will sent an experienced mold inspector and water damage technician to your home or business to confirm the issue. We will check for Mold, Moisture issues, Asbestos (if applicable) and other problematic conditions that create mold or activate growth. While doing the inspection we can determine the cause of the Mold, and recommend some solutions. If 3rd Party Air Quality Testing is required it will be recommended at the time. All our inspectors have many years of experience and are certified by the IICRC to inspect your residence, property or business. Our company offers a free mold inspection and assessment in the Ottawa Region. The process is quick and to the point as our inspectors are highly trained and very efficient. This inspection is preliminary in order to determine the extent of the problem. During our mould inspections, our technician will examine all aspects of your dwelling in order to diagnose the issue and provide a workable and permanent solution. Our mold inspections may include 3rd Party air quality sampling and examination of your HVAC components, windows, roofing, building materials, and perhaps other specific locations during our visit to your residence. In addition, we also survey the history of your building and account for other additional factors such as the number of occupants to ensure that nothing is missed in the inspection. We will also bring in all tools and equipment necessary such as hygrometers, laser particle counters, thermal cameras, digital moisture meters and mold swab samples in order to determine water penetration regardless if it’s being hidden under or within building structural components. Once the information is gathered and complete, the technician will make recommendations to address the issues. Rest assured that nothing will be missed during our inspection.